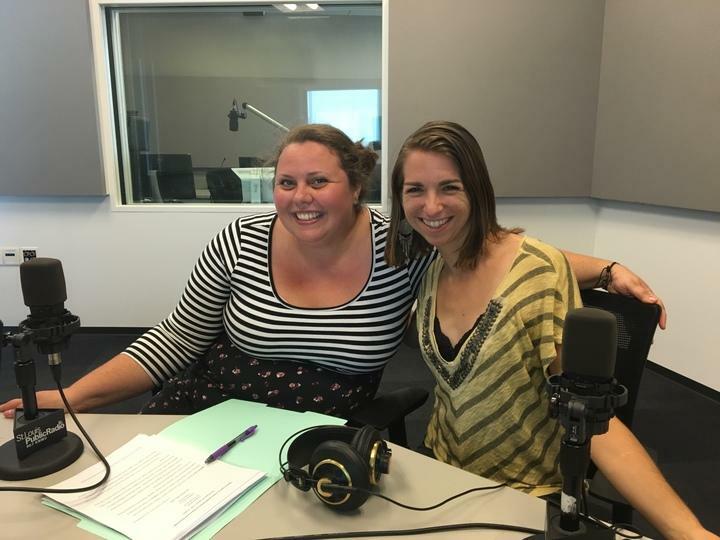 Michaella Thornton and Tina Casagrand discussed "The New Territory" magazine on St. Louis on the Air. It's likely that every single person in St. Louis has either heard someone refer to the Midwest as “fly-over” country — or maybe they’ve even used the term themselves. 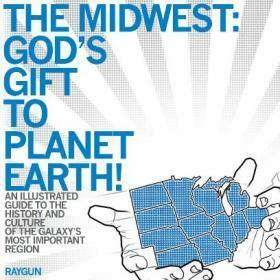 At best, the Midwest is viewed as behind-the-times. At worst, people ignore it entirely. A new Missouri-based publication, aptly-named The New Territory, is trying to change that. 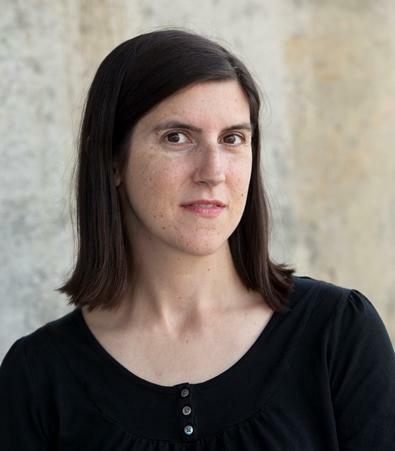 The quarterly publication, started by publisher Tina Casagrand, is based in Jefferson City, and employs the talents of St. Louis-based writers like Michaella Thornton. Both women joined St. Louis on the Air host Don Marsh to discuss how they are covering the under-covered in the lower Midwest and what led them to work on the publication now. 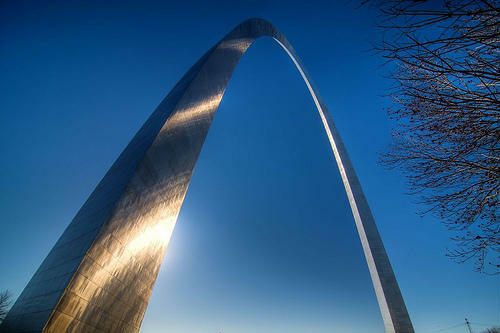 The publisher and a writer for new, Missouri-based magazine "The New Territory," join St. Louis on the Air host Don Marsh to discuss their Midwestern focus. Casagrand and Thornton are both graduates of the Missouri School of Journalism at Mizzou and grew up with the tradition of community newspapers. While now may seem an unlikely time to go into producing a print magazine, Casagrand said that print is certainly not dead and that city and regional magazines had done consistently well even during the recession. Vol. 1, Issue 1 of "The New Territory." About 17 million people live in the area that “The New Territory” covers. That’s about the size of the Los Angeles region, and those stories are worthy of coverage. Thornton grew up in Missouri, but left the state as soon as she could after college. But she returned years later. 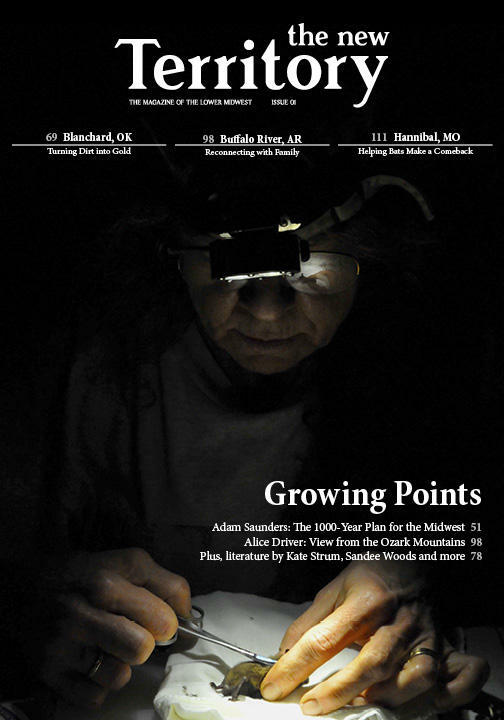 In its first issue, which debuted in April, “The New Territory” covered things like the oilfield business in Oklahoma, White-Nose Syndrome in bats, chronic childhood hunger and planning 1000 years ahead in the agriculture industry. The magazine also features work of local literary talent, photography and graphics. Its second issue, which will be available in August, is themed “In Defense.” Stories covered include gentrification in Lincoln, Nebraska, a comic, science-driven feature about the Midwest’s prairies and an investigation into “Midwestern road rage.” That last piece is written by Thornton and examines how the perception of Midwestern politeness matches up with impatience on the road. For Casagrand, it is important that the magazine focuses not only on rural stories or urban stories, but how the two interplay. Casagrand said that the process of starting a magazine was easy, in some respects, because she has a very strong vision for it. What has been difficult is navigating the business end of things in a digital media world. As it stands right now, the magazine subsists on funding from like-minded sponsors for the magazine. It also costs $15 per copy, which Casagrand said is unique. That price keeps “The New Territory” independent from too much sponsor or advertiser influence on the magazine. Right now, the magazine is distributed through subscriptions but can also be found in St. Louis at the Novel Neighbor bookstore in Webster Groves. Another difference between “The New Territory” and other publications is that the staff works remotely — using Slack, the inter-office communication tool, has helped a lot, Casagrand said. Some of the staff members have never met one another. For example, Casagrand and Thornton met in-person for the first time in the St. Louis on the Air studios. Much of the content is led by the ideas of freelance writers themselves. That, of course, means that the publication is looking for new voices. Here’s how you can do that. Updated 2:19 p.m. This live chat was from 12 p.m. to 1 p.m. CT on June 10. Thanks for joining us! This weekend - with the publishing of an opinion piece in the New York Times entitled "Loving the Midwest," St. Louisans, once again, showed their concern with how the Gateway City is viewed and portrayed on the national level. One man who certainly takes exception to the term is Mike Draper. Curtis Sittenfeld has sold nearly two million books.